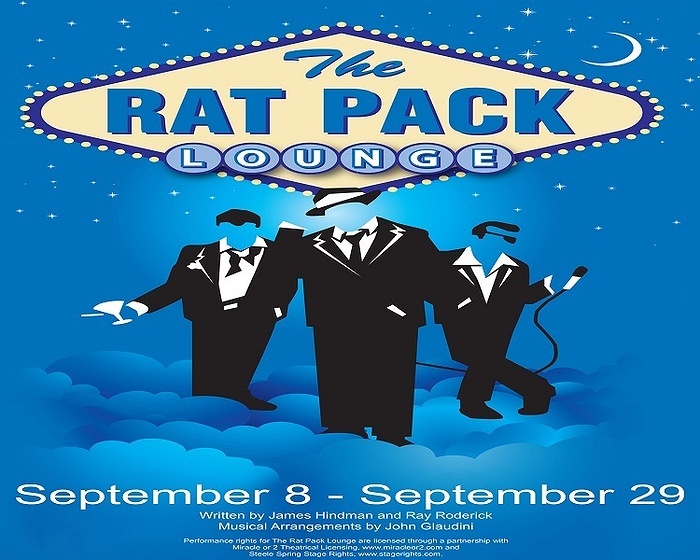 Subject: LongIsland.com - Your Name sent you Event details of "The Rat Pack Lounge at The Noel S. Ruiz Theatre"
"Frank, Dean, and Sammy are up in Heaven, but God tells them they have left some unfinished business back on Earth. It seems Frank made an unfulfilled promise to Vic, the owner of The Rat Pack Lounge. Now he and the boys have one night to make things right. This charming, song filled musical mixes "It's a Wonderful Life" and "Ocean's Eleven" in a swanky Martini glass! With over 30 hit songs, such as "Come Fly With Me", "Bye Bye Blackbird", "Volare", "My Way", "High Hopes", and more, you'll be singin', swingin', and savorin' the days of highballs and high rollers."